Overcoming Ebola means more than just eradicating the disease – it also means returning the affected countries back to normal, and then restarting efforts to make them stronger than before. When the Ebola outbreak struck Sierra Leone in 2014, the country’s food systems suffered. Most affected were rural communities, where agricultural production nearly halted and fear of infection meant community collaboration was minimal. International development groups were forced to divert funding and efforts out of food security and into emergency Ebola response. Following a robust government response zero Ebola cases were reported in November 2015 and Sierra Leone, ranking as one of the poorest countries in the world, was able to focus on rebuilding following the crisis. Food security, a key challenge before, remained a core focus of international efforts. WorldFish, funded by USAID’s Feed the Future campaign, is playing its part by promoting integrated aquaculture and agriculture strategies in Tonkolili – the country’s most food insecure district. Rates of malnutrition are high in Sierra Leone with 22% of the population suffering from its effects and 29% of children under five stunted. The highest rates of stunting are found in the inland district of Tonkolili where it is predominantly caused by prolonged food deprivation and cultural practices that deny the feeding of protein to children. The health benefits of introducing more fish into diets are well understood. It contains micronutrients, minerals and essential fatty acids that are crucial during pregnancy and the first two years of a child’s life. Currently, fish provides 80% of the country’s protein intake. However inland communities such as Tonkolili, isolated from the country’s main source of protein do not see such high levels of consumption. Inland communities can only buy fresh fish from the vendors that visit infrequently from the country’s coastal region. The vendors’ days-long journey often leaves fish in poor condition. 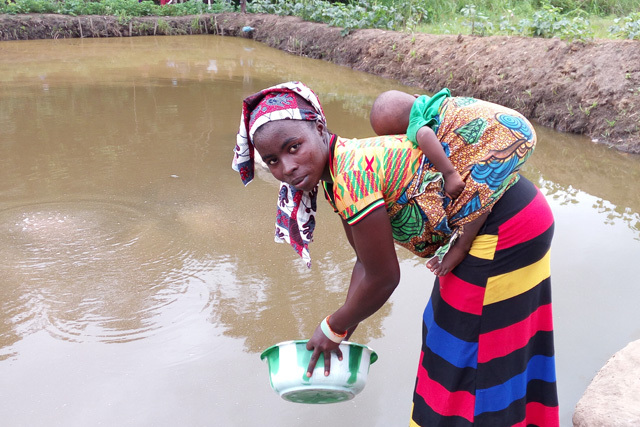 To provide communities with sustainable access to fish, WorldFish is working with both government and NGO partners in Tonkolili to build community-run fishponds. These fishponds are created in inland valley swamps that have long been left fallow, but provide an ideal ecosystem, that will hold water even in the dry season, for community-level and individual agriculture. In addition to farming fish, communities receive training on how to integrate vegetables by growing vitamin-rich indigenous crops such as sweet potato and cassava on the banks of the fishpond. This encourages families to eat a wider range of foods, adding vital nutrients such as vitamin A often missing from local diets. Rice, the country’s staple crop, is also grown along the fishpond, where the water is shared and fish fertilize the rice. 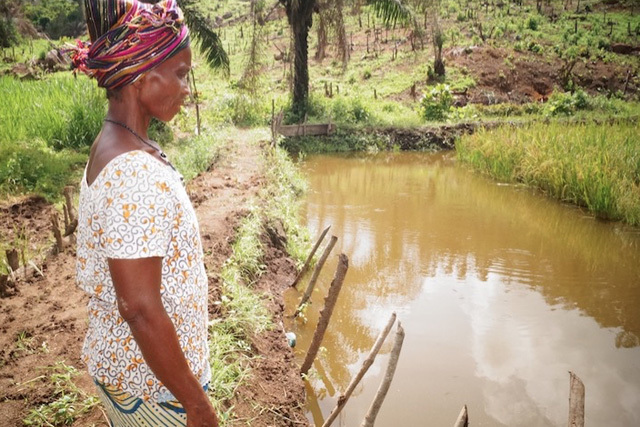 Efforts to develop inland aquaculture in Sierra Leone are not new. There have been multiple attempts at inland aquaculture since the 1960s, but without sustainable business models in place, all were eventually phased out. To boost community knowledge of how to farm fish to feed entire communities, training is being provided to farmers on topics such as pond construction, management and fish feed production. In addition, WorldFish is researching the most appropriate interventions that maximize yield by assessing farmers’ needs and giving technical trainings, ensuring farmers can run their own fish ponds for years to come. Aquaculture goes far beyond feeding communities, it is also a source of income generation. Surplus fish can be sold locally, extending the impact of fish ponds on food security by providing a fish market to communities without their own fishponds. Honing in on soon-to-be entrepreneurs, trainings are also provided to small- and medium-scale entrepreneurs to allow them to run a thriving fish farming business. This project is currently in its pilot phase – where our team is identifying possibilities for longer-term investment into rice- and fish-based farming systems that are appropriate for and accessible to Sierra Leone’s most vulnerable communities. Across all these efforts, science meets communities, and aquaculture meets development. By strengthening the food production systems of Sierra Leone, the country’s most malnourished and vulnerable people – who are still recovering from the impact of a 10-year war and the Ebola epidemic – get a chance at a healthier and brighter future. 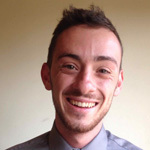 Logan Linnane is currently working with WorldFish Sierra Leone on Communications and Research, where he is conducting Participatory Action Research (PAR) with target communities within the WorldFish USAID Feed the Future Sierra Leone Agriculture Project. His work with WorldFish began in Bangladesh on the USAID ECOFISHBD program.